4 Load Dividers (Part #4000880) are included. Ready for anything! The ADARAC™ Aluminum Series creates more space and delivers greater load capacity, storing cargo above inside the rail tonneau covers. Easy to install with no drilling required, simply attaches with stake pocket inserts. This sturdy rack can easily support a 500 lb. load and contours to the cab for an aerodynamic design. Built from durable, corrosion resistant aluminum, the conveniently adjustable uprights and cross bars can be moved out of the way or removed when not in use. 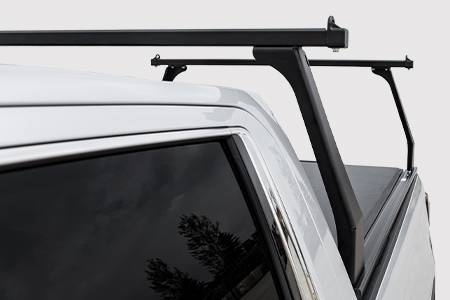 The model specific ADARAC™ Aluminum Series features a solid framework with integrated mounting channels in the rails and cross bars to quickly attach accessories and secure cargo. The ADARAC™ Aluminum Series can haul more and do more. Anodized aluminum cross bars and rails along with aluminum uprights support a maximum, evenly distributed 500 lb. load. Height above the box rail: 24 in. for mid-size, 26 in. for full size and 27 in. for Super Duty trucks. Load dividers sit an additional 3 in. above cross bars. Aerodynamic design with tie down openings at top, quickly remove or reposition. Rapidly secure cargo or attach accessories to incorporated mounting channels, can be used with or without uprights. 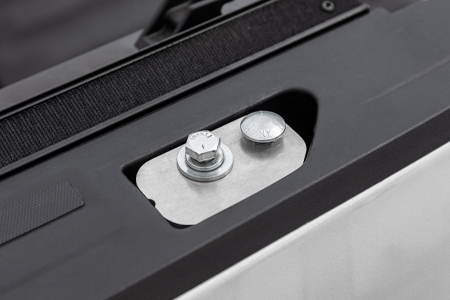 Accessories easily attach to integrated mounting channels across top and bottom. 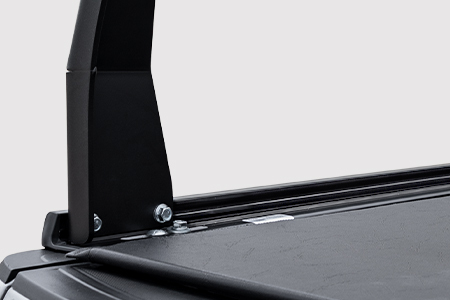 Secure and stabilize payload with four included load dividers and anti-vibration, anti-slip rubber channel insert. Works with ACCESS® Roll-Up Covers and most inside the rail roll up covers. This pickup rack is perfectly suited for all my needs. It was easy to install and very user friendly. 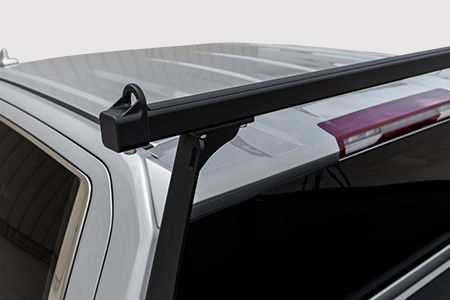 I love that it provides fully adjustable tie down locations making any load easy to secure. Not too many extras, it just works and looks good! 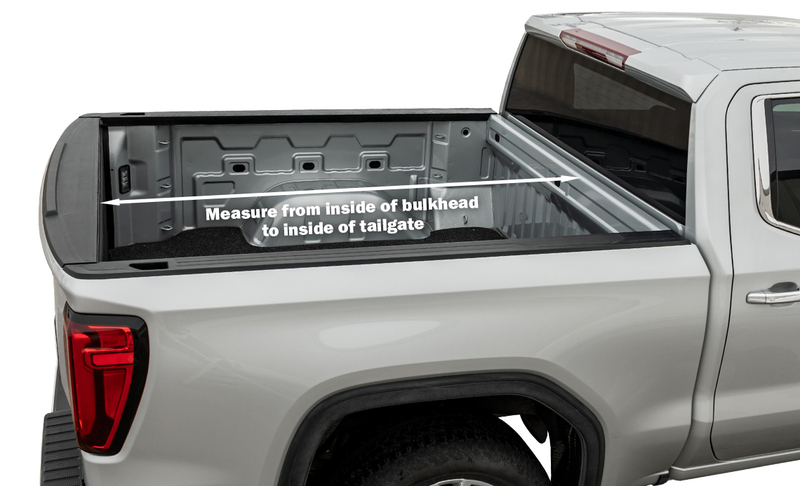 Searched for months to find a suitable combo of rack and tonneau for Chevy Colorado 2017 5' bed, and Agri-Cover products work perfectly! 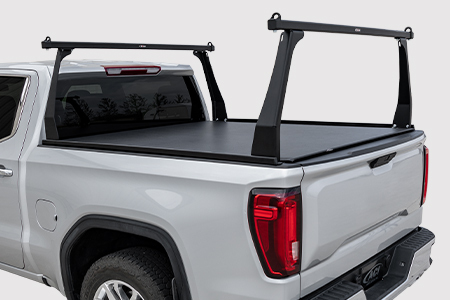 This combo suits our needs for an occasional use rack for recreation and small building projects, and the tonneau keeps the New England weather out of the bed. 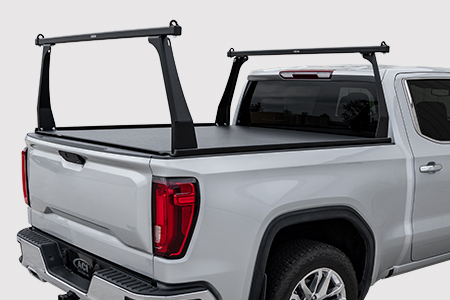 The Lorado roll-up cover fits well, and rolls tight leaving a clear view from the rear window, unlike a competitor's rack/tonneau combo that requires a folding tonneau that covers most of the rear window when open. Company tech support is superb. I used a Pro for installation, and we both contacted ACI to confirm the fitment for this combo and were given clear, helpful suggestions on the phone without a long wait. Our local Pro has worked with products from ACI and has nothing but good things to say about the company and products. Highly recommend the products and the ACI - top notch company in every respect! Very happy with the product. Easy to install and looks great!